Please check the tabs at the bottom of this page to find specific PTA information such as dates of meetings/events and agendas etc. Our next meeting will be held on Tuesday 2nd April (7pm at school) to which parents are welcome. There is also a schedule of PTA events for this year in the corresponding tab, and the latest newsletter for this term. So do scroll down and have a look. The PTA at Binley Woods Primary School are a group of parents, grandparents, teachers and other friends of the school who work together to support our children, providing a range of additional resources and opportunities which enrich the learning opportunities they enjoy. 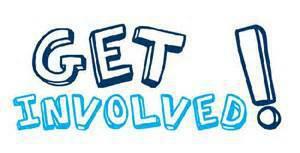 We arrange a variety of fund raising events throughout the year which we all enjoy and which raise much needed funds. Recently the PTA have bought 6 visualisers, one for each class in KS1 and KS2. These project images onto the interactive whiteboards and really enhance learning. We have also bought a substantial number of new books for the school's new library, as well as subsidising coach travel. We also contribute to visiting theatre groups. If you want to contact any member of the PTA please telephone the school who will put you in touch. Thank you for visiting the PTA Page and I hope you find the information useful. How do I become a member of PTA? By default, every parent, guardian, teacher or carer of a child at BinleyWoodsPrimary School is automatically a member of the Parent Teacher Association (PTA). 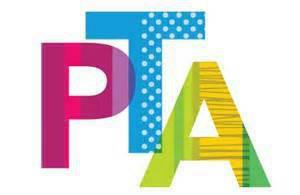 The PTA is here for you - the parents, guardians and teachers of all the children who attend BinleyWoodsPrimary School. Our main aim is to raise funds to purchase items that would otherwise fall outside the school's budget such as equipment, books, etc, and help support trips and days out by funding the cost of the coaches. 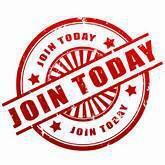 We also provide an informal social network for parents. The PTA is currently run by a fun group of volunteers who regularly attend the PTA meetings and help to organise events such as: Movie Nights, Quiz Nights, Wrapping Rooms, Cake Sales, Summer Fete, Summer Sleepover, Disco, and the Christmas Fair. We have elected officers of the PTA (these are elected every year at our AGM in October), however everyone is free to contribute as little or as much as they like as infrequently or as often as they like. If you feel you would like to get involved either by helping at an event, giving us a great idea or you have a skill that you think we could use, making cakes, marketing or PR experience to name but a few then please get in touch. All we ask of you is your name, phone number and email address. This is put on a database of members who can help organise and /or run any the events we pencil into the school term. We are always happy to welcome new volunteers and appreciate all the help that we get. All the PTA meetings are held in school. We meet on a monthly basis through term time usually on a Wednesday and we try to keep meetings to an hour! The start time for the meetings is 7.00pm, typically we discuss upcoming events, planning in advance these activities and working as a team to ensure everything is planned out ready to go. This system works really well, we all know what needs to be done, who needs to do it and when it needs to be completed by. The beauty of having frequent meetings also means that they finish early and it’s a great social opportunity to catch up with people and have a chat. If you would like any further information, pop along to school where we will help you. Have you heard of Match Funding? It is a scheme that many employers (especially big employers) do to support charities and organsations such as schools in their community. They will financially match the funds raised at an event if their employee has been supporting it. So if the Christmas Fair for example, raised £1500 and their employee helped on a stall, they would match it and the school would raise £3000 instead. These charitable contributions are tax deductable for employers. However they need to know that you are taking part so please approach them to see if they run such a scheme. We really appreciate all the help we can get to maximise our fund raising because as you will be aware, our school budget is stretched to the limit.